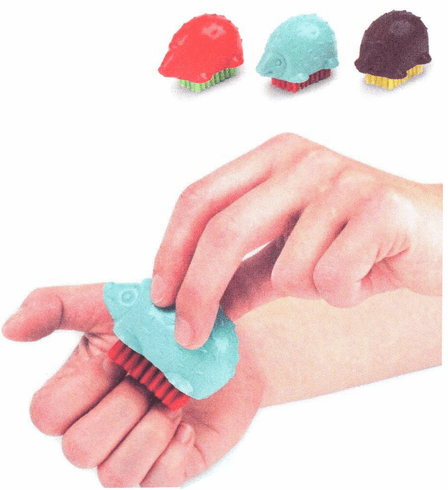 Scrub away your troubles with this cute little hedgehog nail brush. Assorted colors. Made of ABS plastic, it measures 2.5" L x 1.8" W x 1.5" D.